I started out as a kitchenhand in a little 60-seater Italian restaurant. 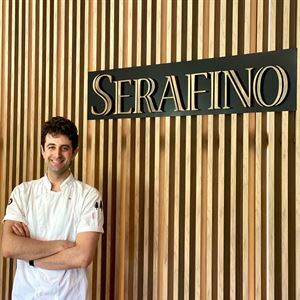 From there, I did a 4-year apprenticeship working around Adelaide in gastropubs. My first qualified position was at The Playford Hotel and from there I headed Bartons restaurant at The Caledonian Hotel. 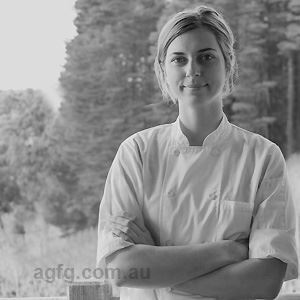 Moving to the Fleurieu Peninsula, I worked at Woodstock Wine Estate and was Head Chef at Encounter Restaurant, Hotel Victor. 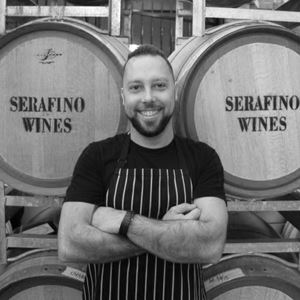 I’ve now found my home here in the heart of McLaren Vale at Serafino. 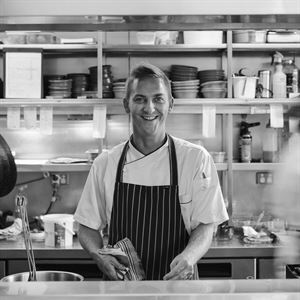 I knew I wanted to be a Chef from the age of about 13, learning to cook from my mother ignited the passion, my first job as a kitchenhand in a little Italian restaurant fuelled it. Modern Australian with a heavy influence of French/Italian. I’m still in love with truffles and I think I always will be. They feature on a few of our current dishes in some form. Making every component on the plate look perfect. 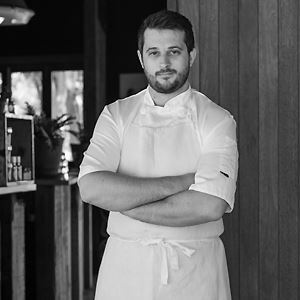 In the early days Mum, throughout my apprenticeship it was Damien Pignolet, these days Daniel Humm- Eleven Madison Park and the great Australian Chefs we have leading the way. Meeting new people and sharing their experiences with food and wine. I love seeing what Chefs in the area are coming up with. Butter! It goes in everything! Especially our Nebbiolo butter we make here. Not sure it’s eyebrow raising but everyone loves our Nebbiolo butter with ash salt. Lamb shank and chevre ravioli / cauliflower / truffle / pickled mustard / walnut foam.